In this article, I want to show you some odd legendary creatures that are often used in those arts. 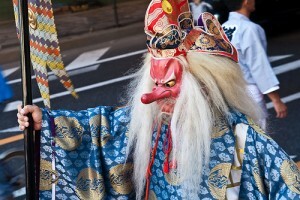 Tengu are mountain creature with red face and long nose, wearing yamabushi (mountain priest) clothes. 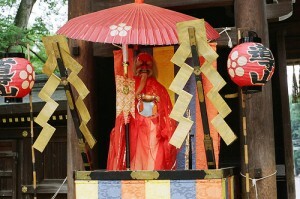 They are sometimes worshipped as Shinto kami (spirits or gods). The word “tengu” literally means “heavenly dogs”. Kappa are human x monkey x frog like creature with beaks, dish-like things on their heads, and shells on their backs. 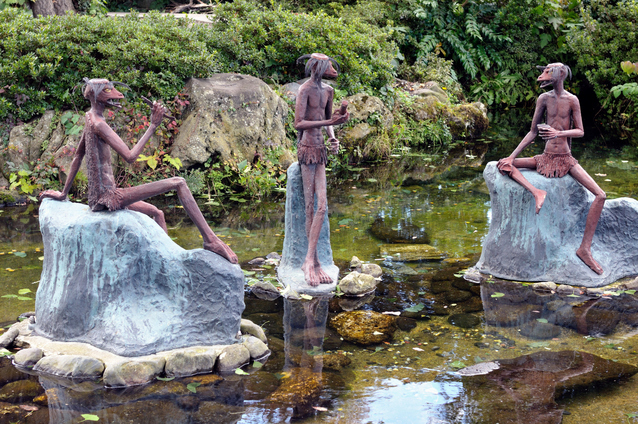 The word “kappa” literally means “river-child”. They like pranks and cucumbers. 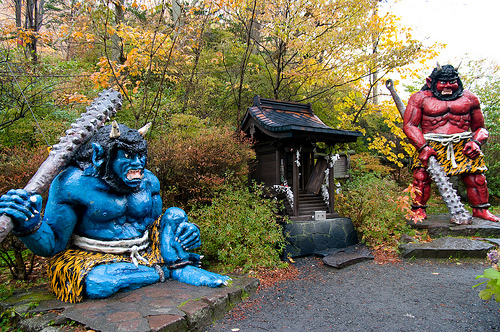 Oni are Japanese ogres with red or blue skins, wild hair, fangs, and horns. They wear tiger-skin clothes and carry iron clubs. Oni are often appeared in Japanese folk tales and there are many oni-like characters in recent arts like manga or games.